Whenever we make a significant mistake, we spend a bunch of time looking at what happened, why it happened, and how we can fix it. Most of the time we do this privately, but in our recent mistake around Diretide, we felt sharing our analysis with you made sense. First, what happened – we didn’t ship a Diretide event this year, and you were rightly upset about it. That was clearly a mistake, and then we compounded the problem by not telling you what was going on. So, why didn’t we ship Diretide? We have a huge update in the works that looked like it would be finished in time for Halloween. Stopping that update to work on Diretide seemed like something you would actually be unhappy with us for, because the update is pretty significant. More on that later. Turning on last year’s Diretide event wasn’t trivial. We’d done a year of work on the game which had changed our codebase, UI, and other systems enough that we would need to do some work to resurrect it. We underestimated how much you wanted Diretide. We made the decision a while ago, and failed to employ our usual process of regularly asking ourselves whether we were still on the right track. 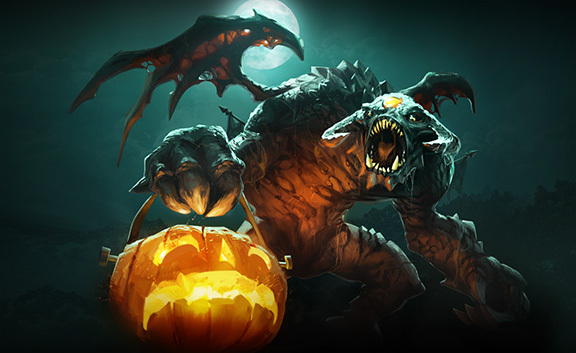 There were a bunch of people on the Dota 2 team who poked at the decision to not do it as Halloween approached, but due to how busy everyone was with our next major update, no-one really took the time to step back and objectively realise we were being collectively crazy. Due to our poor prediction of your reaction, and the team being focused on the next update, we didn’t spend enough time thinking about talking to you about our decision. As a result, by the time we’d realized we’d made a bad decision, the pitchforks were out. Then, why didn’t we communicate with you what was going on? We were, and still are, confident that you’ll be happy when you see what’s in the next update (which isn’t far away now). Now, what is the fix? First, we’re going to ship Diretide with the next update. The rest of the update we’ve been working on is in final testing, and as each of us finish up our work on it, we’ve been jumping over to Diretide. Second, we’re pretty sure the update that we’ve been working on for a couple of months is going to be pretty significant. In addition, we’ve made a few changes to Diretide that we think makes it more fun than before. And while we always want the community to tell us exactly how we’re doing, this is probably a good time to stop cc’ing innocent car manufacturers with your messages. Paying attention to what is happening in the community around Dota 2 is one of the most important aspects of what we do at Valve. And while we are clearly not mistake-proof, hopefully it is useful for us to walk everyone through our process for recognizing and then fixing our mistakes.